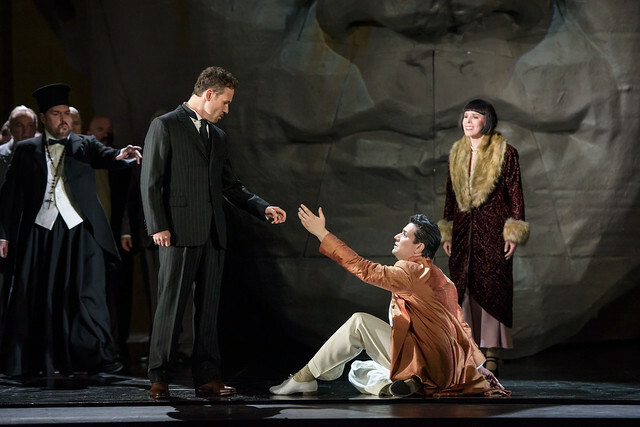 Kasper Holten's memorable Royal Opera production of Szymanowski's Król Roger is released as DVD and Blu-Ray today. Both formats are now available to order online from the ROH Shop. The production, starring Polish baritone Mariusz Kwiecień and Albanian tenor Saimir Pirgu, and conducted by Antonio Pappano, focuses on the title character's inner torment as he is torn between duty and desire. It was the first staging of the work at the Royal Opera House. The spectacular staging features innovative video projections and received acclaim from audience and press alike at its premiere in May 2015. A digital programme for the production is available to purchase online. Buy Król Roger on DVD or Blu-Ray from the Royal Opera House Shop.